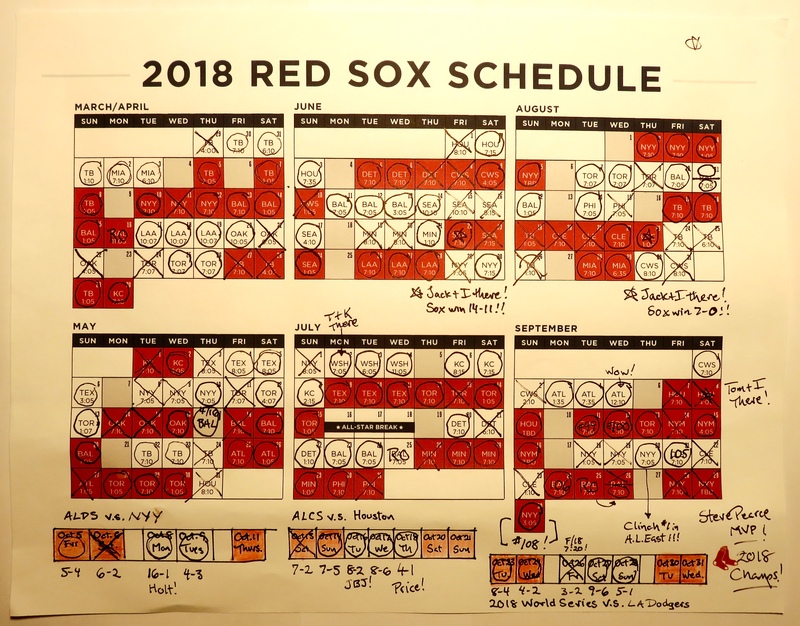 This entry was posted in Random Topics and tagged 2018 Boston Red Sox, 2018 Red Sox Schedule, 2018 World Series Champions, Boston Red Sox. Bookmark the permalink. And what a sweet season it was! love it, especially the bonus rows! go sox! I’m a true Dodger fan since I was 10 but the Red Sox deserved it.